‘The Millennium Railway’. The train tunnel. ‘Mirabilia, a garden of Arthurian Legend'. 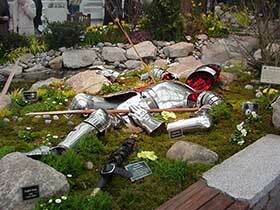 A chromed knight lies fallen in a bed of daffodil. 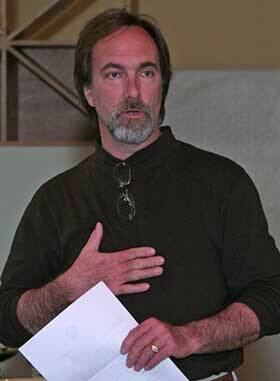 Alan Burke has a background as a practicing landscape architect in Los Angeles and Seattle. Pacific Magazine, The Los Angeles Times Magazine, Northwest Home+Garden and American Home magazine have featured his design work. A residential garden design that he prepared for Sunset is displayed on the back cover of the first edition of The Sunset Western Landscaping Book and his work was recently featured in the 2015 NWFGS issue of Pacific Northwest Magazine. A graduate of the Universities of South Florida and Florida, he developed the presentation “Eyes on Earth from Space” as a keynote address to the national ASLA convention in the late 1980’s. 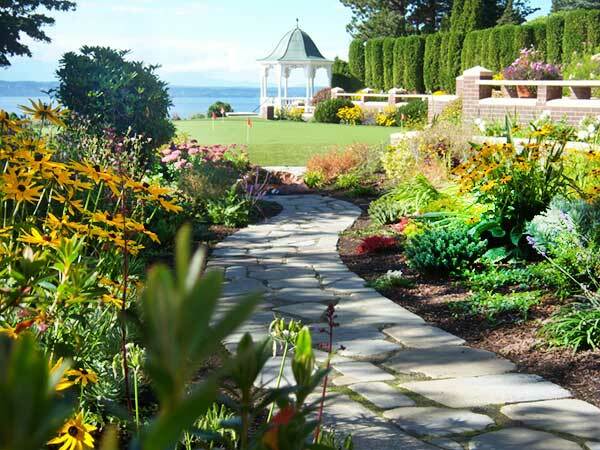 A contributor to the books Residential Landscape Design and Landscape Design: A Practical Approach, Alan has also been profiled by King 5’s Evening Magazine and by Ed Hume on Gardening in America. As a pioneer in digital imaging, He has also written for landscape industry publications and lectured at universities and trade organizations throughout the country. His digital design work has been presented on CityTV in Toronto, a CBS TV special and The ABC Home Show. 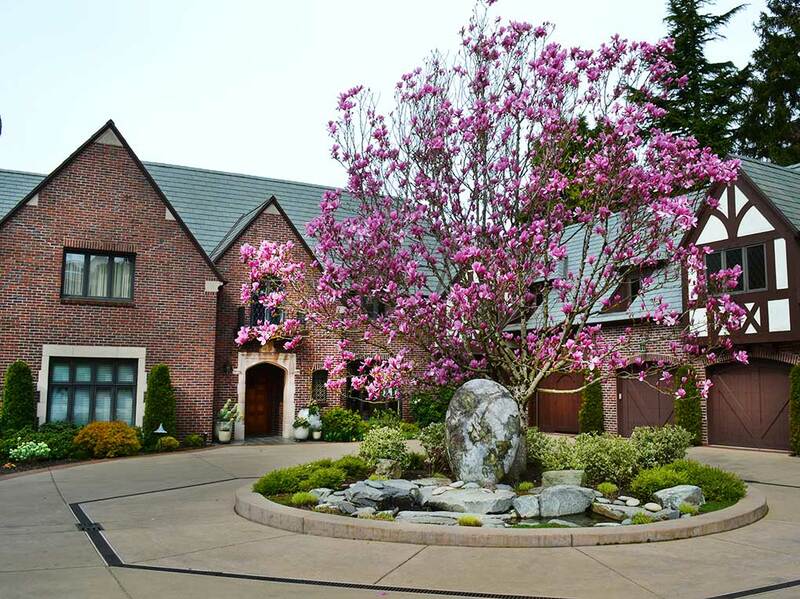 Alan worked for a number of landscape architects and design/build firms before joining Classic in 1994 - and with his wife Julie, a former project manager for Starbucks, the Burkes purchased the company in 2000. With decades in business and dozens on staff, Classic is a comprehensive landscape and big tree nursery operation on 10 acres in Woodinville’s winery district. 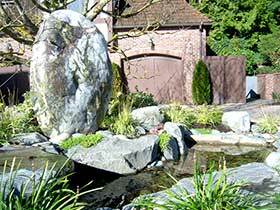 Classic’s team of craftsmen and horticulturalists specialize in outdoor construction, landscape care, IPM consulting, plant sourcing and environmental education as a 5-star King County Envirostar. 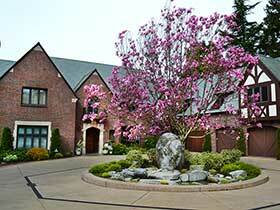 Classic’s projects have earned Grand Awards from WALP and The Founder’s Cup at NWFGS. As host to hundreds of schoolchildren viewing salmon runs annually at their former Bear Creek facility, Classic was presented with a King County Green Globe award for efforts in habitat restoration and wildlife education. Classic maintains an active social media presence with over 2000 Facebook fans and a new green-industry oriented FB page, ‘Green Meridian’. Classic earned an “A rating” on Angie’s List and Best of Houzz and was voted “Best Landscape Company” in a 425 Magazine readers poll two years in a row. Alan lives with his wife Julie and three children in Queen Anne. ‘Mirabilia, a garden of Arthurian Legend’. A steaming amethyst in an iron pot. ‘La Pilabra Pintada’, a collaboration with Nick Bantock. The backdrop features an original Bantock painting, ‘The shrimp’. ‘La Pilabra Pintada’, a collaboration with Nick Bantock. 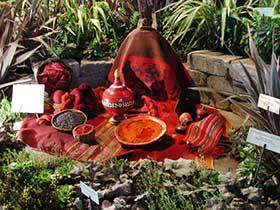 The cochineal spice display. 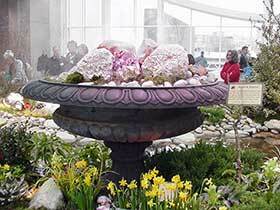 Classic’s work includes a number of collaborative exhibits created for The Northwest Flower & Garden Show. For these, Classic’s creative team worked closely with a creative, non-hort entity to develop a string concept, each exhibit taking two years from concept to construction. The submittal “The Millennium Railway” was the recipient of gold, silver and bronze medals, including a People’s Choice award and ASLA award. Built with the help of The Puget Sound Garden Railway Society, this small gem of a garden displayed all of its material in miniature with trains donated by the model train manufacturer LGB. Classic also created “Mirabilia”, a medieval garden at the show entry on the Skywalk over Pike Street with the help of ‘The Seattle Knights’. 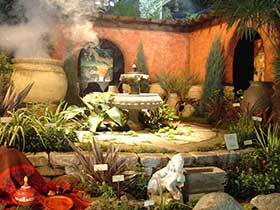 The garden was themed about the legend of King Arthur, but was really centered around medieval plant lore. 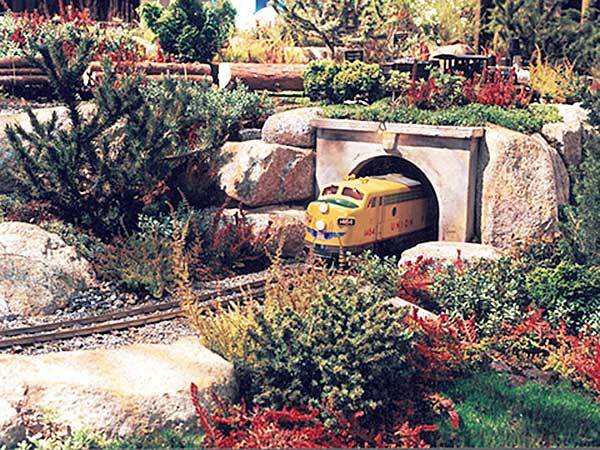 The Garden Show exhibit “Portage to the Pacific” marked the bicentennial of the expedition of the Corps of Discovery. 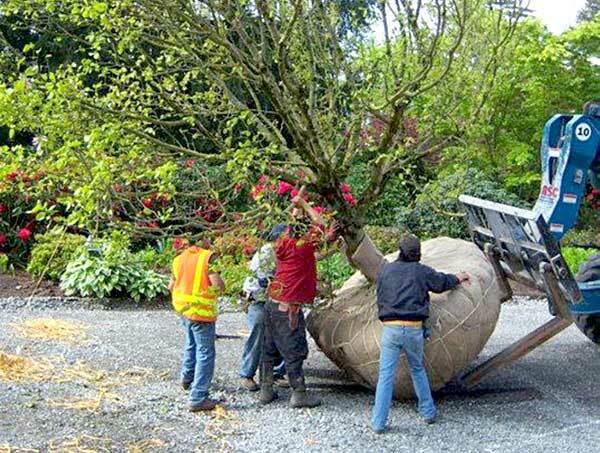 The garden displayed a mix of ancient and rare Columbia River tribal artifacts and memorabilia from Lewis & Clark’s journey donated by Oregon’s Dalles River Museum - in a garden filled with native plants taken from Lewis’ journals. Built by the Classic team in three days, this design received the Founder’s cup as “Best of Show” from a team of international judges. Classic completed the Gold medal award-winning garden “La Palabra Pintada” in collaboration with New York Times bestselling author/artist Nick Bantock (Griffin & Sabine, The Artful Dodger). 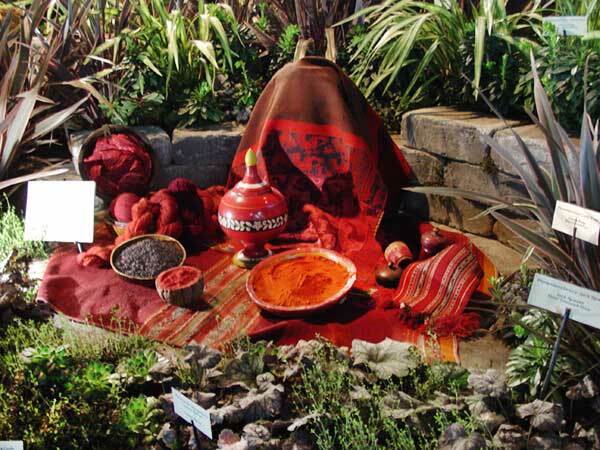 Exhibited with ancient and massive oil jars, Classic created displays depicting the uses and colors of natural dyes; saffron, indigo and cochineal. Also used was an ancient African protective amulet vest, an Indian sacrificial urn and a hand carved stone Ganesha. The two-ton ‘La Palabra’ stone, set in place. A view toward the western bluff with a stone column water feature. This project tested a lot of our skills with design in concrete, stone, hydraulics and planting layout. The project’s centerpiece is The “La Palabra stone”, a stone originally displayed in our NWFGS exhibit of the same name. The Palabra stone is a two ton piece of granite, marble and jade, hand polished and sourced from The Yangtze river valley at the confluence of the Three gorges river dam project. This stone was drilled and cut to exacting dimensions and placed upon a 6 ft. deep concrete plinth embedded with a 3” dia. solid steel rod. It was also cut flat on the bottom. The center motor court island is also the home of ‘Maggie’, a very large Magnolia soulangiana (Saucer magnolia) in a bed of Lonicera ‘Lemon beauty’, mixed with variegated Euonymus japonica and Liriope. Classic demolished the old broken concrete driveway and installed a new, random stamp pattern colored concrete driveway with a trench drain pattern cut into an octagon. The client had custom drainage grates made in bronze with a family motif. At the western bluff, we built a pot and later, a basalt stone mixed column water feature. The project started with an initial request to put in a long flagstone walk. As work developed, we ultimately rebuilt almost all the garden areas and motor court. 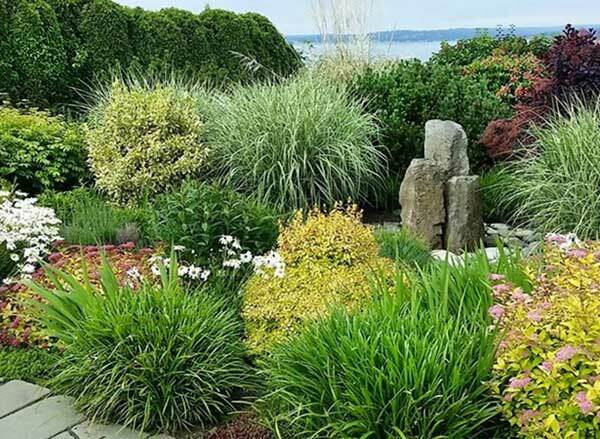 Bed areas are planted with Eleagnus ‘Gilt-edge’, mixed variegated euonymus, Escallonia, Leptospermum, Aubretia, Wiegela, Dahlia, Crocosmia, Hydrangea , Cotinus, Echinacea, Lavender, Spiraea, Calendula, Penstemon, Hosta, Alchimella, Pennisetum, Geum, Rudbeckia, Perovskia and Ilex convexa. (Ilex is much better performing than boxwood, as it doesn’t get chlorotic). More pictures of this labor of love can be found on our FB ‘Project photos two’ portfolio and website albums. There, you can also see a view the rear putting green to the 300 lineal foot sand set Pennsylvania bluestone slate walkway. The turf installation was the site for Dreamturf’s US Open commercial. 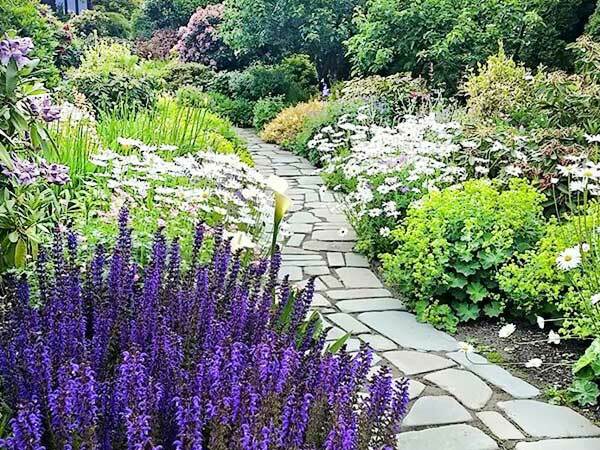 Woodland path (facing east) - tumbled sand-set Pennsylvania bluestone, accent planting of Shasta daisy, Salvia ‘May knight’, Lonicera ‘Lemon beauty’.